I’m going to go ahead and assume everybody hates mornings as much as me. It’s a daily struggle to get up and do anything productive. If you are like me and you despise the morning, here are some tips that I hope help you get your life together when you wake up. Mornings can be very rushed, especially if you’re a student running on lack of sleep. But mornings can be enjoyable if done right. Giving yourself optimal time in the morning to do everything you need to do will allow you to get where you need to go in an orderly manner, and on time. Let’s say you have to be up at 7:00 am, but you have a habit of sleeping through your alarm. 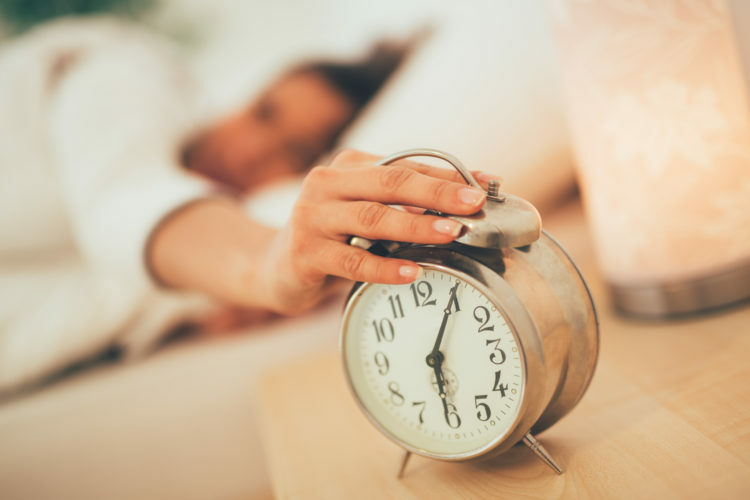 Instead, try setting two alarms within 10 minutes of each other–say, one at 6:50 am and one at 7:00 am to give yourself a little bit more time before you actually have to get up. Make sure the first alarm is within arm’s length so you can turn it off. When the second one goes off, that’s your cue to get out of bed. This one should be away from your bed so you’re forced to get up to turn it off. You may not think that showering in the morning sounds too appealing, but it actually has been proven to wake you up. When I wake up, I feel like I’m freezing, so I always look forward to a hot shower to warm my skin again. After showering, I feel refreshed and ready to tackle my day. Many people look forward to a cup of coffee in the morning to wake them up. However, studies show that a glass of water wakes you up faster than a cup of coffee. The cold water shocks your insides and energizes your body right away. Try eating a healthy breakfast along with your ice water. Eating breakfast is also a very important part of the morning because it gives you energy, stabilizes your blood sugar, and stops you from being hungry and sleepy a couple hours later. Preparing for the morning at night will make your morning go more smoothly. Before going to bed, check the next day’s weather on your phone, then lay out an outfit so you’re not searching through your closet and thinking you have nothing to wear. No longer will you waste valuable time in the morning wondering what to wear. This will also give you extra time in the morning to relax and chill out before you have to leave. Also, try laying out all the products you use in the morning. It’s a time saver to be able to just grab what you need and not have to look for it. If you tell yourself that you are going to get enough sleep, regardless of what time you are going to bed, you will help to program your subconscious mind to believe it. Conversely, if you constantly tell yourself that you hate mornings and that you’re not a morning person, then you will never be. If you’re lying in bed watching the hours tick by, and doing the math to figure out how much sleep you’ll get, it’s not going to help you fall asleep any faster. Relax and tell yourself you’ll get enough sleep, no matter what.